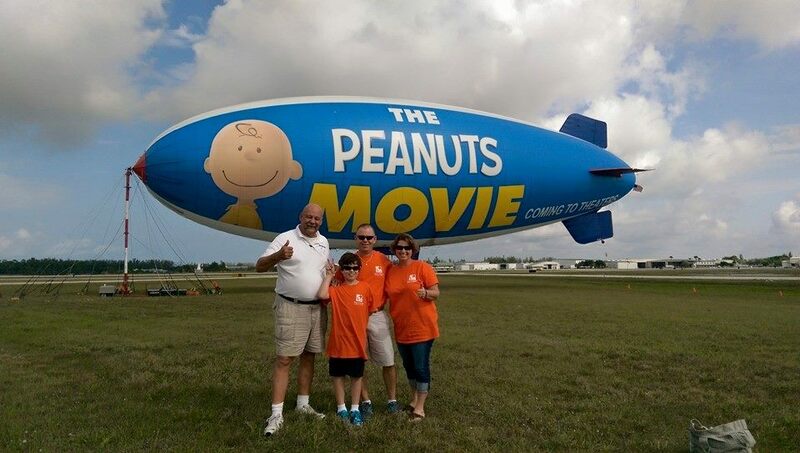 WINK News, Naples, FL – An 8-year-old boy got the adventure of a lifetime Thursday morning, taking a ride in the MetLife Snoopy One Blimp. “I’m just very excited for it,” said Tyler Grooms. Tyler has been battling a life-threatening disease since last March when his kidneys started to fail. The disease affects his immune system, “it’s called atypical Hemolytic Uremic Syndrome or aHUS,” said his mother Lisa Grooms. The ride was made possible through MetLife and the nonprofit, Believe In Tomorrow Children’s Foundation. It’s done through the Joe DiMaggio Children’s Hospital. “He receives treatment every 14 days in Hollywood to help maintain and control the disease,” said Lisa Grooms. “We try not to think about it everyday and things like this helps that,” said Tyler’s father Todd Grooms. Tyler shared his excitement with his mother and father. They got a bird’s-eye view of their home and the beach. The adventure gives him and other kids high hopes. “Believe that you’re going to get better,” said Tyler. There is no cure for aHUS. It’s estimated that 2 out of a million people are diagnosed with it in the United States.